With the continual exposure to scientific, historical, and philosophical evidence for God's existence, I am continually reminded of just how strong the case for God is, in general, and the truth of Christianity specifically. Often times I wonder how someone can have enough faith to be an atheist. 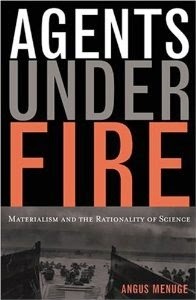 It is often claimed by skeptics of God's existence, and specifically the intelligent design argument, that it is best to not conclude the necessity of a designer until all naturalistic possibilities have been exhausted. This seems to provide a safe, reasonable haven for the skeptic faced with the evidence. But is it really reasonable and thus, safe? What are the implications of this claim? I want to take a few minutes to examine the reasonableness of this escape route. There exists three possible explanations for natural phenomena: chance, necessity, and design. If chance and necessity are eliminated, then there is no other option except design. The skeptic's claim reacts to the design proponents' attempts to rule out chance. As long as humanity does not reach omniscience and research continues, the appeal to what we do not yet know prevents us from being certain that the decision to remove chance from the table of options is correct. While this does seem to make sense, five threatening implications do come to mind that should make us question its reasonableness. First, certainty of the accuracy of our decisions is rarely obtained prior to the decision and less often demanded before making a decision. 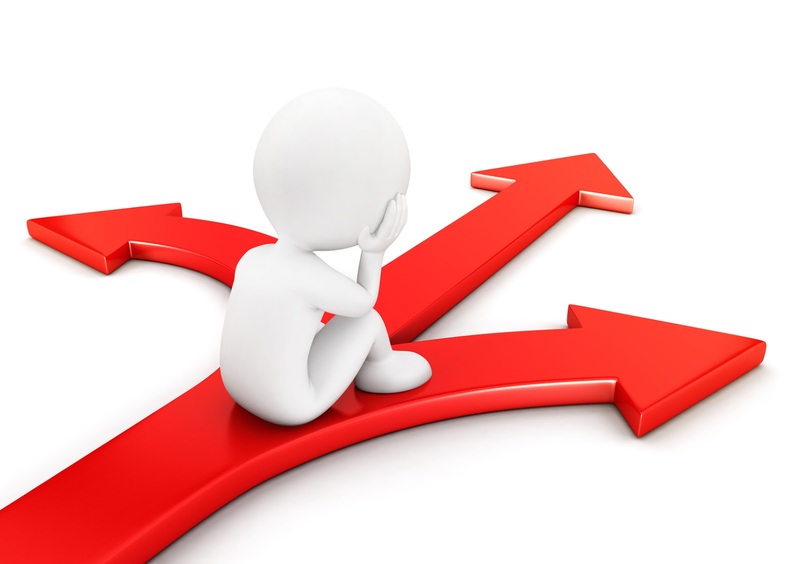 Most decisions that we will make affect the future in some way. Because we do not know all the current events that will intersect with our decision, we cannot be certain that our decision is the right one. However, it is rare that the lack of certainty will prevent us from making a decision. Most of the time we will base our decision on evidence of what may be the best option. We do not allow the lack of certainty of the correct option to prevent us from disregarding the others and acting upon the most reasonable of the options. Second, skeptics often request "extraordinary" evidence for the existence of a designer. An example that comes to mind is "if it were written in the stars 'Christianity is true,' then I'd believe." While this particular request to be demonstrated by playing "connect the dots" on a high resolution image of the galaxy, one could easily escape their commitment if more difficult requests were met by simply saying, "we cannot rule out chance because not all natural explanations have been investigated." Thus the demand for certainty to remove chance makes the request for extraordinary evidence more of an insincere demand. All evidence presented for God's existence, no matter how strong, could be disregarded. Third (almost), the implication of the second does not only apply to evidence for God's existence, but it can be applied to anything, reinforcing the implication of the first. Not only would this prevent us from making a decision, it would also prevent us from changing our minds about anything. We could overcome any objection to any belief we have by merely observing that no one is omniscient and that the lack of certainty does not mean that our view has necessarily been shown to be wrong, thus we are justified in maintaining it. 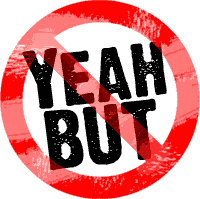 The less evidentially-supported belief is maintained despite the evidence against it and/or the more evidence for an alternative view, and this is praised as being more reasonable than changing the mind. 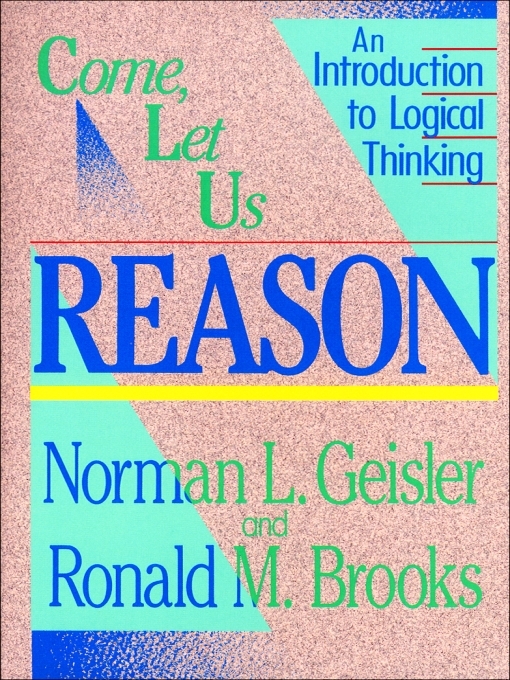 The lack of certainty and reason are used to make the skeptic's view practically indubitable, which (fourth) implies that all investigation and research is merely for confirmation of current beliefs, with no real interest in discovering what is true or changing one's beliefs and practices to reflect reality. Included in that is the understanding that one already has all the correct beliefs (practical omniscience), making investigation and research actually a waste of time, money, energy, and other valuable resources. Finally, the practice of using the lack of certainty to avoid the more evidentially-supported option or to affirm the less evidentially-supported option necessarily removes the idea of NOT doing so from the table of reason...but THAT cannot be valid on this view, for we are not omniscient and do not have certainty that this practice is the better one. Anyone who says that they are reasonably holding to a view, because the lack of certainty allows it to remain on the table despite the evidence, has not applied that same reasoning to the reason they made the decision. For if they did, they would no longer have a reasonable reason to do so. Ultimately, this reasoning self-destructs. If an idea self-destructs, it cannot be true, and any idea that is not true is not wise to act upon. The evidence for God's existence and the truth of Christianity piles up day after day. Yet skeptics still believe that they can reasonably escape the conclusion by exploiting the fact that no challenger knows everything, thus cannot possess certainty to remove all options from the table of possibility except the one they wish to convince the skeptic is true. However, this reasoning necessarily implies five threats that cannot be ignored. If this reasoning is practiced, then these five implications must be accepted to remain logically consistent. However, the implications are too great to accept (not to mention the impossible one), thus it is best to refrain from using the lack of certainty to avoid unpalatable conclusions. Last week I read an article that I found to be quite disturbing. The title is "Christianity's New F-Word". In short the author takes issue with the current revival of Christian philosophy and apologetics- saying that Christians are so scared of being associated with "faith" that they succumb to the world's reason and methods. The author believes that instead of testing the truth of Christianity or historical reliability of the Bible, we should simply assume that they are true, and our faith will be more rewarding. I have many concerns with this article; however, I want to address just three of them today. 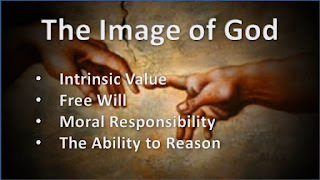 I have written many times about the coexistence of faith and reason (the most recent is "Is Faith Logical or Emotional? "), so I'm not going to rehash that information here. However, I would like to point out that the author undermines their own argument by implying that "secular" reason and methods can't be trusted. If we are to follow and understand the author's argument, we must first accept the basic laws of logic. If those are not reliable, then neither is any argument made that follows the rules of logical reasoning reliable. Earlier this week an article made it onto CNN's iReport that has caused quite the furor in the Christian and atheist communities. The piece was originally published as a blog post entitled "Why I Raise My Children Without God." In the post the author explains that she has lied to her kids about what happens when they die and what heaven would be like. She asks why parents should tell their kids things that they don't even believe. She follows that up with seven reasons she believes that teaching children about God is wrong and should not be done. I want to look at this from both an emotional and logical perspective (in that order). I will respond to all of her complaints and include links to other posts that have more detail. I will conclude by providing Christianity as a viable alternative and how satisfactory answers to those complaints can only be found in Christ. We all like to cite and appeal to people who are well trained in the discipline that we are talking about. 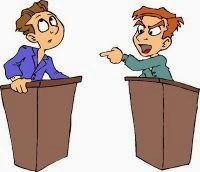 We also tend to denigrate arguments or claims of someone who is not trained in the area being discussed. The fact that someone has mastered a subject means that they are an extremely valuable resource that should not be dismissed, while someone who has not studied as in-depth, by necessity of the situation, does not have as much knowledge. It seems only logical to prefer the word of the person with the greater knowledge to the person with lesser knowledge. All arguments consist of premises and conclusions. A proper authority is preferred when supporting the truth of a premise, but that does not mean that their logic is valid. If the logic is not valid, then the conclusion does not follow. Because of this, appealing to a proper authority does not guarantee that the conclusion follows. So, even though appealing to an authority is helpful, it is not sufficient. 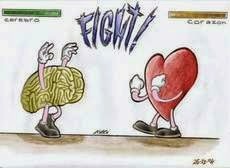 It is in this case that someone with lesser knowledge, but good reasoning may have an advantage, but not necessarily. More knowledge could still be used to demonstrate that the conclusion is over-stated. Appealing to "proper" authorities when making an argument requires more than just someone who can support the truth of the premises. There should also be an appeal to someone who can support the logic of the argument. Interestingly, most of us support our premises with citations, but we rarely support our logic by citing proper authorities on reasoning. But just as citing an authority to support a premise does not necessitate the truth of the premise, neither does citing an authority to support our logic make the conclusion necessarily follow. This brings up the reason that we all need to make sure that we understand proper reasoning. We have to be able to accurately assess arguments and determine if the conclusions actually do follow. 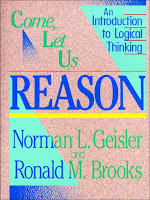 A great introductory resource that I recommend is Norman Geisler's Come, Let Us Reason. Its not too long and is easy for the beginner. All apologists should be familiar with this resource as it may be one that they can recommend to help people understand and evaluate the logic of the arguments presented to them. . Many great resources regarding proper reasoning and logic can be found at Apologetics 315. Do You Rely Upon Authorities? Last week we looked at questions that atheists tend to shy away from for whatever reason, and we looked at questions that are truly off-limits to those in an atheistic world. Today, we will see if Christianity has any such questions. What is Off Limits In The Church? One of the great advantages of Christianity over atheism is that the questions that are off limits in atheism are central to Christianity- God exists and He does have a purpose for all the pain and suffering that we experience. But does Christianity have its own questions that it says are off limits that may cause the worldview to implode? The Culture of "Questions Not Allowed"
Around the age of 12 or 13, I discovered that my asking questions was quite annoying to many people. Generally, people didn't mind my asking a couple basic questions here and there. But when I started asking a lot of questions, or my questions began to point out a real issue between two of their claims, their demeanor changed. I noticed this especially in church. People didn't mind my asking some basic questions about Christianity, but when I started getting into deeper theology, they ran. Some rebuked the questioning. This gave me a very sour feeling around many fellow Christians as if asking tough questions about what we believed was off limits. This was one of the reasons that I drifted away from the Church. 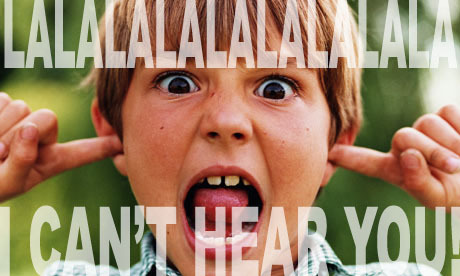 My thoughts were these: if Christianity is true, why are Christians so afraid of being challenged? Christianity was for the intellectually weak and emotionally driven. There have been several times that someone provided me a phenomenon that supports a specific worldview. They implied that this support for their worldview demonstrated that my worldview was false. The most recent example that comes to mind is a debate that is inside Christianity. As many, both inside and outside the Church, know, Christians debate the age of the earth/universe, and along side that debate tends to be a lesser known debate about the geographical extent of Noah's Flood (whether the flood was worldwide or localized to a single geographical area). I currently hold that Noah's Flood was a localized event. (I'm not going to go into a huge defense of this position here because the purpose of this post is just to make a quick point, which Noah's flood being local is not it.) A friend of mine gave me two pieces of evidence that he states can only be explained by a geographically world-wide flood. These two being the large amounts of sediment all over the land and aquatic fossils being found on top of many mountains. He told me that this was evidence that the whole world was covered by water, and further concluded that could only have been Noah's flood (worldwide). In so many of my interactions with people, I have found that they have already made a commitment one way or the other to certain worldviews and are looking for intellectual reasons to either maintain that commitment, be public about the commitment or escape another commitment. I know people who are ready to accept any worldview except for X and others who are committed to accepting any form of worldview Y. Some are currently in worldview Z but are looking for intellectual reasons to either remain in or to get out. I have found that Christianity is not immune to this observation. Some people are looking to get in but need intellectual reasons, while other are looking to get out but need intellectual reasons. I have seen people leave Christianity because someone asked them "well, who created God?". I have seen people come to Christianity for "fire insurance". Neither of those being logical reasons. Have you ever played the electronic game 20 Questions? If you haven't, this is what it is: You think of an object and the computer will ask you "yes/no" questions until it narrows down what you are thinking about. If you answer 20 questions, and it can't figure out what you're thinking about, you win. I've tried it a few times, and I've been able to stump it a couple. :) What the computer does is ask questions to get answers. It uses these answers as premises in an argument. Let's say that I'm thinking of something. It asks me if it is an animal; I tell it "yes". It asks me if it is fury; I say "no". It asks me if it is black; I say "no". If it asked only these three questions, and told me that me that I was thinking of a frog, it would be wrong (I'm thinking of a lizard). A frog does match the answers that I gave (the premises of the argument), but it does not match exclusively. The conclusion that the only thing that I could possibly be thinking about is a frog, is an overstated conclusion. One word and one phrase need clarification in this question. "Good" and "without God". I want to look at the phrase "without God". My first clarifying question would be "do you mean 'without God's existence' or 'without believing in God'?" The answer to this question will determine how my unasked question about the meaning of "good" will be answered. 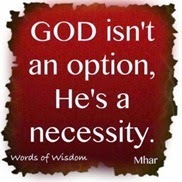 If the atheist answers "without God's existence," then it is quite easy. The answer is "yes" and "no"- both meaning the same thing and being just as valid as the other. 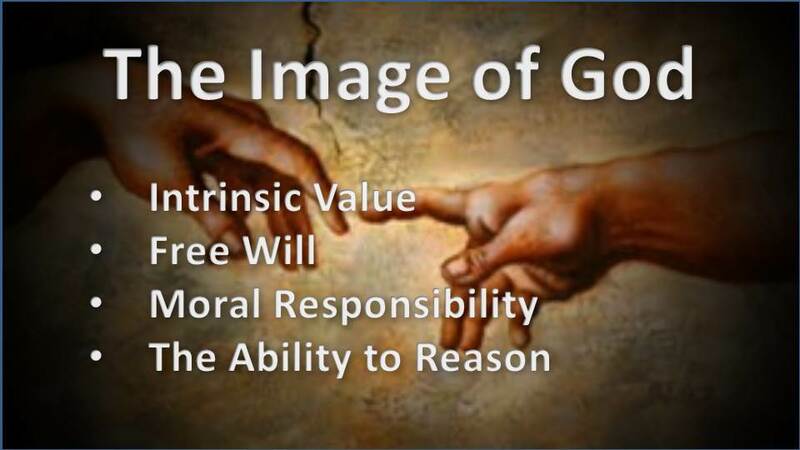 Since atheists must base their morals on sociocultural contract theory, "good" (which is a moral term) has no objective, intercultural definition. So, one person in one culture may answer the question "yes" (basing his answer on the "goodness" of general behavior), and another person in another culture may answer the question "no" (same basis). If God does not actually exist, this answer does not change even if someone believes that He exists. Well, we are finally at the end of my Psychology Class series. If you want to start from the beginning, here's the link for the introduction post. If you haven't read the series, nothing in this post will make sense. In the introduction, I promised that I would conclude by explaining my own behavior with regard to my requirement to take this class (plus two more). As I was going through the class, I noticed one peculiar thing about the psychological theorists: they would develop a theory and seemed to apply it to everyone, except themselves. The Behavioral theorists performed experiments and theorized that all behavior was the result of the environment. My question to them is simply this: "What environmental factors caused you to do the experiment?" The theorists never attempted to answer such a question. These theorists seemed to act as if they, themselves, were "immune" to or "above" their own behavioral theories. I've noticed this with some other theorists in other disciplines, but I won't go into those right now. This is why I felt that it is important that after I posted the series, that I analyze myself based on what I have posted.